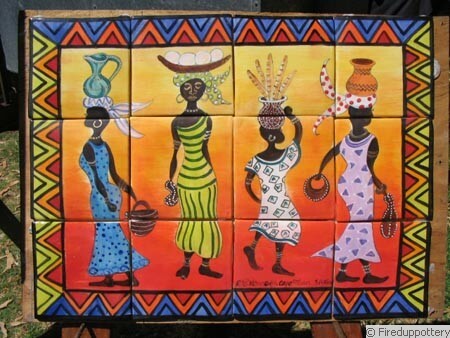 Quality Handpainted tiles, handmade wash basins, tile murals. 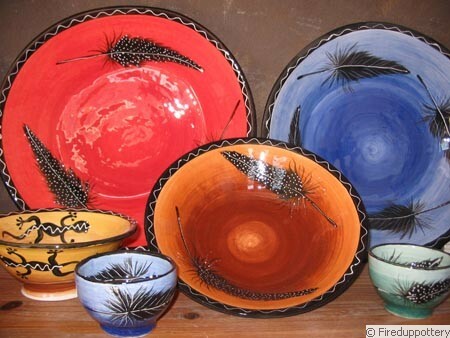 Fired Up Pottery Studio is situated in the Northern suburbs of Cape Town, South Africa and was established in 1999 by Paul and Rachael Kennedy. Since then we have been producing high quality ceramics with an emphasis on originality. 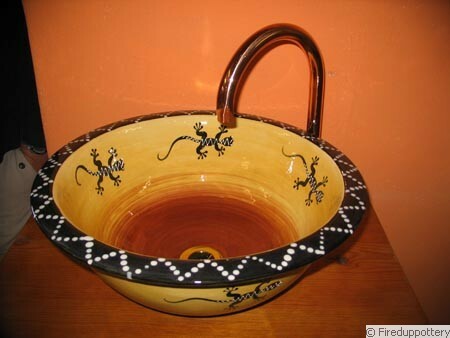 Our product range includes handmade platters and bowls but our true speciality is in handmade wash basins and handmade handpainted tiles and tile murals. Each item is molded, turned, decorated and glazed by hand and kiln fired to temperatures of 1140°C – 1200°C, thus ensuring not only beauty but practicality too. Private commissions are welcome and are often undertaken. 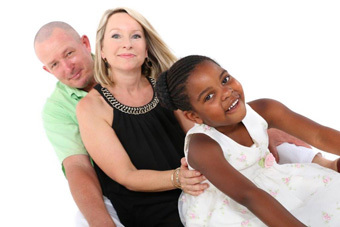 Visits to our Table View based studio are welcome, but please phone to book in advance. Orders can be made telephonically or via the internet here on our site, and we are available each weekend at various Craft markets in and around Cape Town, Kirstenbosch and Somerset West. Please phone for further details.